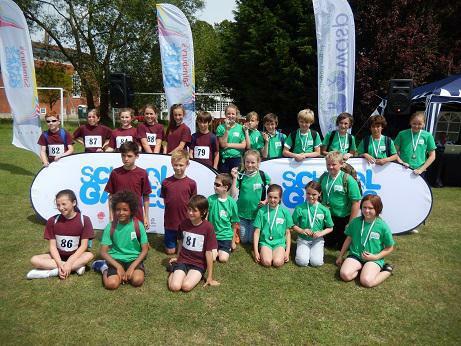 On Tuesday 2nd July, 24 children from years 5 and 6 represented Fitzmaurice at the Wiltshire School Games at Marlborough College. In order to qualify for the county level competition, our swimming and QuadKids (athletics) teams first had to make it through the local cluster competition and then win the West Wiltshire competition. Both teams performed exceptionally well, with the athletics team finishing a fantastic 7th out of the 16 schools taking part, and the swim team bringing home bronze medals. Once the serious competition work was over the children had the opportunity to experience some fun activities at the ‘Athletes Village’ including sumo wresting, hoola hoops and the rowing machine challenge. Well done to everyone who took part; we are very proud of the way you always do your best, whilst encouraging and supporting each other and showing great sportmanship too. A big thank you to the parent helpers who came along on the day, and made the trip possible; and also to Miss Blake for inspiring and encouraging our children in their sporting activities. On the 29th April Fitzmaurice competed in the tag rugby festival with 24 other teams. Here are our match results. 1 St Patricks 4 – 2 win! 2 Bellefield 5 – 3 win! 3 The Manor 7 – 0 win! 4 Keevil 8 – 0 win! 5 St Georges B 10 – 0 win! We came 2nd in our group and went through to the quarter finals to play Southwick, Final score 5 – 6 to Southwick. Congratulations and well done to everyone in the team for playing so brilliantly. Team Fitz = Sarah, Lewis, Jake, Bailey, Cameron, James, George, Will, Joe, Romilly and Katie. 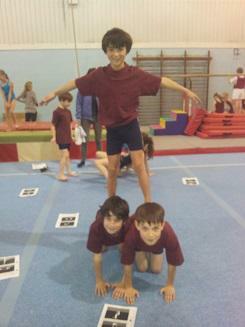 28 teams competed in the West Wilts Gym Festival, on April 1st, at the Wiltshire School of Gymnastics. Our Fitzmaurice teams were very successful, finishing 2nd and 4th overall. We also had individual success with Armand Weissel-Hetzel being the overall champion for Wiltshire and James McGuire coming second overall. Not bad out of 178 competitors! Well done to ALL the children who represented our school. 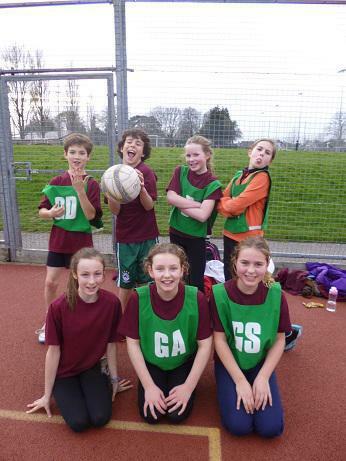 Congratulations to our Hi5 netball team who came 3rd at the West Wilts Netball Championships at Kingdown School on Wed 5th March 2014. 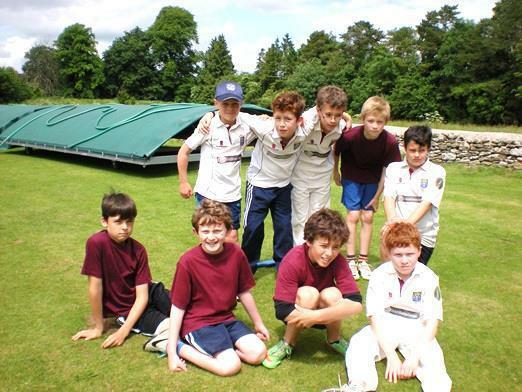 They all played brilliantly and as you can tell from the photo below, they all thoroughly enjoyed themselves! 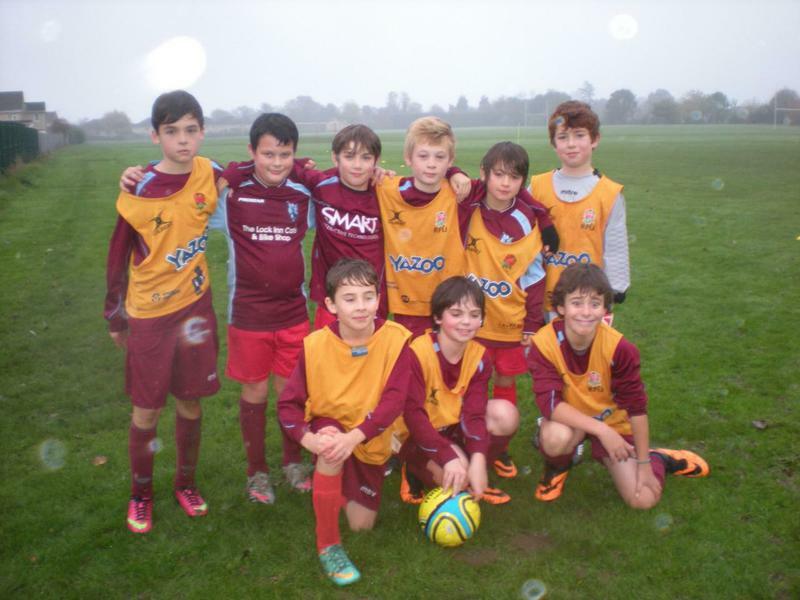 On 11th November 2013 our year 6 football team took part in a tournament at St.Laurence school.